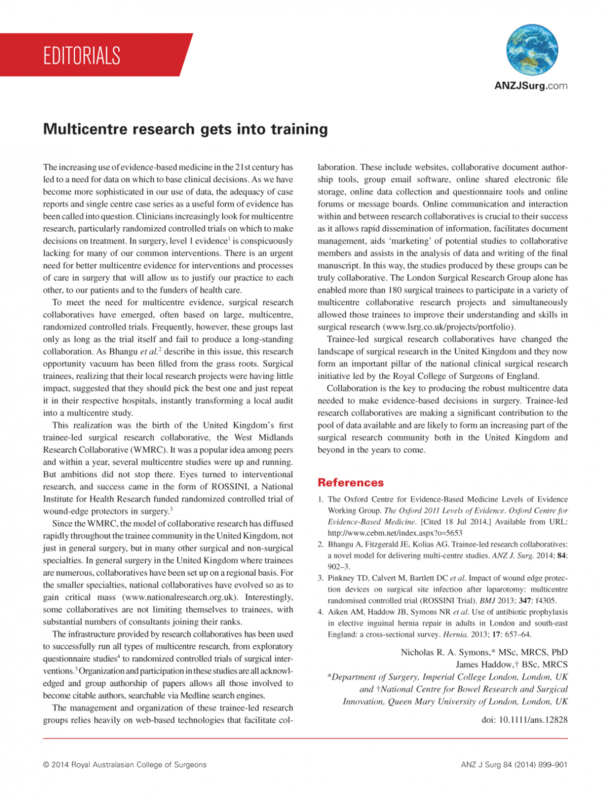 Multicentre research gets into training. ANZ J Surg. 2014 Dec;84(12):899. Home » Portfolio » Multicentre research gets into training. ANZ J Surg. 2014 Dec;84(12):899.